^ a b c d e f g h i j k l m n o p q r s t u This article incorporates text from a publication now in the public domain: Bain, Robert Nisbet (1911). "Christian IV." . In Chisholm, Hugh. Encyclopædia Britannica (11th ed.). Cambridge University Press. 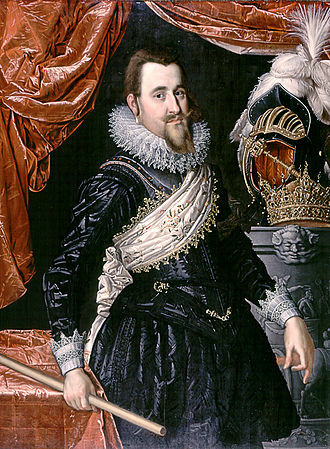 Christoffer Valkendorff was a Danish statesman and Steward of the Realm. 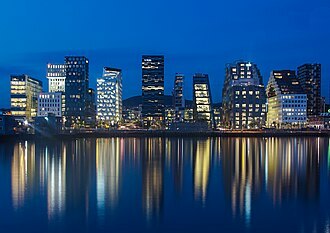 He descended from a German immigrant aristocratic family, during the 1550s he made himself a career in Norway where he successfully opposed the last remains of Hanseatic influence, which earned him the benevolence of King Frederick II. 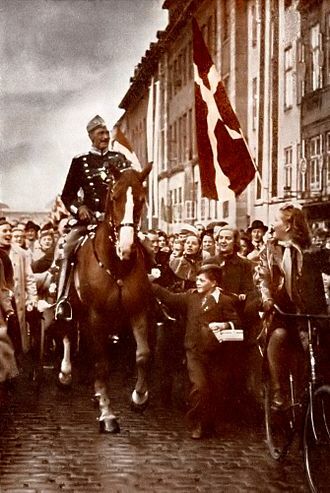 He worked as a squire and local official, relatively late, after the death of Peder Oxe, he became a leading man of the government. 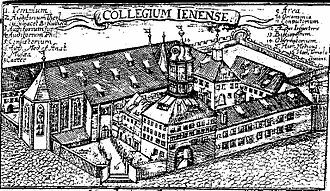 From 1575 to 1590 he was the Treasurer and Statholder at Copenhagen Castle by virtue of which he was in reality a kind of a minister without being appointed. 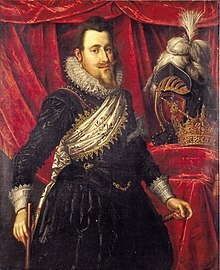 However, he shared this position with the Chancellor Niels Kaas, to Copenhagen his work was very important. 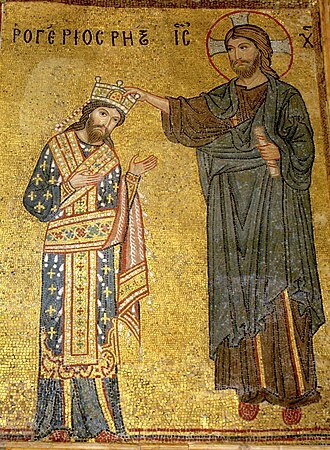 He founded students’ dwellings, supported the education, maintained justice and in many ways anticipated the activities of Christian IV, in foreign politics he supported the neutral line of the king and avoided taking part in the wars of religion. 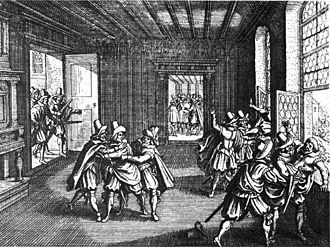 After the death of Frederick II in 1588, Valkendorff assumed control of the guardianship of Christian IV, in 1590 he had to vacate all his offices after accusations of abuse of power and the judicial murder of Magnus Heinason. Rosenborg Castle is a renaissance castle located in Copenhagen, Denmark. The castle was built as a country summerhouse in 1606 and is an example of Christian IVs many architectural projects. 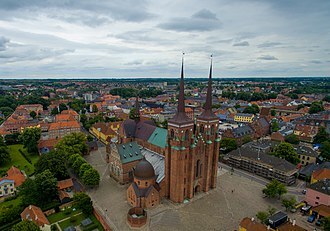 It was built in the Dutch Renaissance style, typical of Danish buildings during this period, architects Bertel Lange and Hans van Steenwinckel the Younger are associated with the structural planning of the castle. The castle was used by Danish regents as a residence until around 1710. 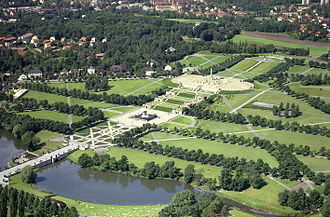 After the reign of Frederik IV, Rosenborg was used as a residence only twice. The first time was after Christiansborg Palace burned down in 1794, located on the third floor, the Long Hall was completed in 1624. It was originally intended as a ballroom, around 1700 it was used as Royal Reception Room and for banquets. 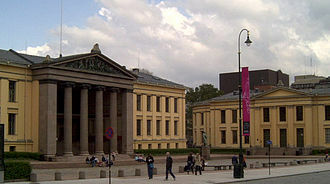 It was not until the half of the 19th century that it became known as the Knights Hall. Christian V had the hall partly modernised with twelve tapestries depicting the Kings victories in the Scanian War, the stucco ceiling seen today is from the beginning of the 18th century. 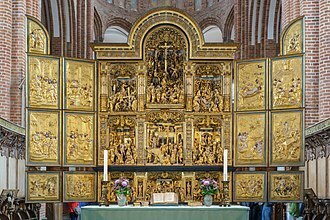 It shows the Danish Coat of Arms surrounded by the Orders of the Elephant, side reliefs depict historical events from the first years of the reign of Frederik IV, including the liberation of the serfs, the founding of the dragoons and of the land militia among them. The frescos in the ceiling by Hendrick Krock, represent the Regalia, among the main attractions of Rosenborg are the coronation chair of the absolutist kings and the throne of the queens with the three silver lions standing in front. The Long Hall contains a collection of silver furniture. Some of these once belonged to the nobility and the aristocracy. The castle, now property, was opened to the public in 1838. Of special interest to tourists is a Schatzkammer displaying the Crown Jewels, a Coronation Carpet is stored there. The Throne Chair of Denmark is located in the castle, in the summer time, flowers bloom in front of the castle in the castle garden. The castle is situated in Kongens Have, known as Rosenborg Castle Garden, the Rosenborg Castle Garden is the countrys oldest royal garden and was embellished in the Renaissance style by Christian IV shortly before the construction of the main castle. 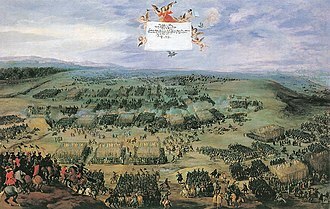 History painting is a genre in painting defined by its subject matter rather than artistic style. History paintings usually depict a moment in a story, rather than a specific and static subject. The term is derived from the senses of the word historia in Latin and Italian, meaning story or narrative. Most history paintings are not of scenes from history, especially paintings from before about 1850, History paintings almost always contain a number of figures, often a large number, and normally show some type of action that is a moment in a narrative. The genre includes depictions of moments in religious narratives, above all the Life of Christ, as well as scenes from mythology. These groups were for long the most frequently painted, works such as Michelangelos Sistine Chapel ceiling are therefore history paintings, History painting may be used interchangeably with historical painting, and was especially so used before the 20th century. 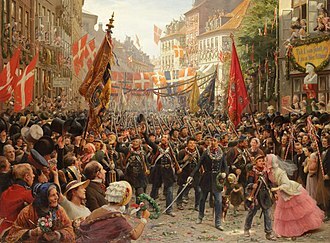 Where a distinction is made historical painting is the painting of scenes from secular history, in the 19th century historical painting in this sense became a distinct genre. In phrases such as historical painting materials, historical means in use before about 1900 and he placed emphasis on the ability to depict the interactions between the figures by gesture and expression. This view remained general until the 19th century, when artistic movements began to struggle against the establishment institutions of academic art, which continued to adhere to it. Scenes from ancient history had been popular in the early Renaissance, and once again became common in the Baroque and Rococo periods, and still more so with the rise of Neoclassicism. In some 19th or 20th century contexts, the term may refer specifically to paintings of scenes from history, rather than those from religious narratives. Scenes from ancient history and mythology were popular, artists continued for centuries to strive to make their reputation by producing such works, often neglecting genres to which their talents were better suited. The large works of Raphael were long considered, with those of Michelangelo, un Peintre qui ne fait que des portraits, na pas encore cette haute perfection de lArt, & ne peut prétendre à lhonneur que reçoivent les plus sçavans. Portrait of Leonora Christina Ulfeldt by Gerrit van Honthorst (1647). Frederiksborg Museum. Portrait of Leonora Christina Ulfeldt and her husband Corfitz by Jacob Folkema (c. 1746). Noble minted for John. The reverse shows his full royal coat of arms. 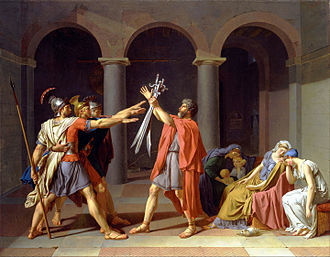 Jacques-Louis David's Oath of the Horatii, 1786, with a scene from ancient history. Venus, Cupid, Folly and Time, Agnolo Bronzino, c. 1545. According to André Félibien allegory was the highest form of all history painting. 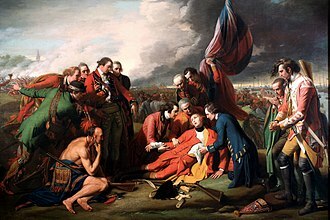 Benjamin West, The Death of General Wolfe (1770), an early example of the vogue for painting scenes from recent history. A lecture in an Equestrian Academy, painted by Reinhold Timm, who taught at Sorø from 1623, or Pieter Isaacsz for Rosenborg Castle; part of a series of seven paintings depicting the seven Liberal arts, here rhetoric. The Crown Prince of Norway and his mother, Queen Anne Catherine.